After the Nissan deal, the UK government looks to be ‘showing its hand’ on Brexit. Ministers are promising to protect trade, a logic which leads away from a ‘Hard Brexit’. Andrew McConaghie reports. Nissan’s decision to commit to manufacturing cars at its factory in Sunderland is great news for the UK and Theresa May’s government. It also the first true signpost towards what a post-Brexit Britain will look like in terms of business and trade – and suggests the likelihood of a ‘Hard Brexit’ are fast diminishing. Nissan’s chief executive Carlos Ghosn had warned that the Japanese company could decide to build its next-generation models outside the UK if it suffered any loss of competitiveness because of new trade barriers after Brexit. The company is said to have been reassured by a “last-minute written promise” from business secretary Greg Clark last Thursday that Nissan would be protected from any such consequences . This promise is based on the belief that the UK could secure tariff-free trade with the European Union. But this status is likely to mean remaining part of the EU customs union – with broad implications for how ‘hard’ or ‘soft’ Brexit will be. Amid talks of a ‘sweetheart deal’ with the Japanese firm, other companies in the UK automotive industry other sectors will now be demanding similar assurances. Clark suggested that these objectives did apply to the wider car industry, and potentially also to other major business sectors. This is an important shift, as Theresa May had previously claimed the government had not wanted to ‘show its hand’ before Brexit negotiations begin in earnest next year, after Article 50 is triggered. The Prime Minister has until now also implied that the UK could achieve access to the single market, greater immigration controls and freedom from the oversight of the European court of justice all at the same time – something the EU has steadfastly refuted. Now that Nissan has been given some level of guarantee of tariff-free trade, the UK has indeed shown its hand, signalling that free trade is a priority. 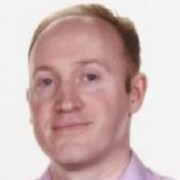 UK pharma sector association the ABPI, and the country’s twin ‘big pharma’ companies GlaxoSmithKline and AstraZeneca have all remained sanguine since the 23 June referendum result, despite having opposed Brexit beforehand. Indeed GSK boosted national morale with its own manufacturing investments announced in July, a clear vote of confidence in the UK. This confidence has been based on direct reassurances from the government, not least Theresa May herself declaring the pharmaceutical industry one of the country’s most important sectors. Speaking to pharmaphorum before the Nissan deal was disclosed, the ABPI’s chief executive Mike Thompson said he was happy with conversations with the government to date. Clearly faced with lack of clarity about the vital question of single market access, Thompson says the ABPI has suggested alternative ways of guaranteeing some rules for basic Europe-wide collaboration. Thompson says this would allow the UK to remain part of EU infectious disease control and pharmacovigilance networks, for instance. This allows the UK to agree the rules of engagement in some of the least contentious questions, but nevertheless the big questions about trade and immigration controls remain unanswered. Mike Thompson says preliminary conversations with David Davis, one of the lead ministers for negotiating Brexit with the EU, have been positive. However this ‘nuanced’ thinking might mean providing each industrial sector with its own bespoke agreement – signalling a very complicated and drawn out set of negotiations. At the same time, many believe this nuanced thinking of David Davis is really the unrealistic ‘having your cake and eating it’ approach (first championed by his fellow Brexiteer Boris Johnson) and something which the EU will never permit. 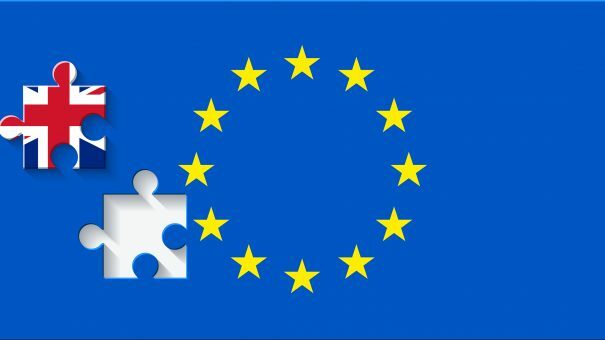 EU Customs Union – a workable compromise? The reason for this is clear – the EU is unlikely to allow sector-by-sector trade agreements to be made. Until now, a number of possible Brexit scenarios were in play, but the most likely solution now looks to be the UK staying within the EU ‘customs union’. Turkey is the best existing example of a country already in this position – it is inside the customs union but outside the single market. This allows for immigration restrictions but also means it can’t negotiate its own free trade deals. This is the model that the UK government looks to be drifting towards – despite this meaning the UK wouldn’t be able to negotiate any bilateral trade deals with the other non-EU nations, having to fall into line with those agreed in Brussels. As it would allow some restrictions on immigration plus simplicity and clarity in terms of trading relations with the EU, this may be the path that the UK takes. However nobody is suggesting this was always the masterplan – as clearly there was no such plan – and so the outcome remains highly unpredictable. Theresa May has promised an industrial strategy for key sectors, including pharma and life sciences. This must encompass Brexit, but go beyond this issue to really make an impact. GSK’s chief executive Sir Andrew Witty told analysts last week that being named a ‘priority industry’ by the prime minister could pay off in post-Brexit Britain. It must be noted that GSK has benefited very significantly from Brexit, at least in the short term. The pound has lost a fifth of its value against the dollar since June, boosting GSK in revenues and profits as most of its sales are earned outside the UK. Its revenues have shot up 23% to £7.5 billion in the third quarter, and core operating profit jumped 35% to £2.3 billion. But the benefits of currency fluctuations are fleeting, and Sir Andrew Witty and his counterpart at AstraZeneca, Pascal Soriot, are looking for a longer term vision. 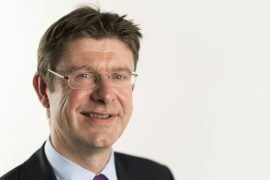 The man in charge of creating a strategy is Greg Clark, who now heads the pointedly renamed Department of Business, Energy and Industrial Strategy. But also vital alongside him is Jeremy Hunt, secretary of state for health, and health minister Lord Prior, who has responsibility for the life sciences as part of his portfolio. The long-awaited Accelerated Access Review (AAR) was published last week, but there are already signs that it is the wrong report at the wrong time: Theresa May wants to put her own mark on industrial strategy, and the reality of Brexit has changed priorities hugely. This sense is echoed by Mike Thompson, who welcomed the AAR report, but suggested it couldn’t address all the sector’s big questions. He says that “out of discontinuity comes opportunity” with a chance for the UK to recalibrate its industrial priorities. One of the major obstacles to this is an NHS which is increasingly struggling to keep its head above water. Investment in the NHS is an investment in the pharmaceutical industry, and Theresa May’s government is being given very clear warnings from NHS leaders and think tanks that the health service is running out of money. AstraZeneca’s head of drug development Mene Pangalos has just this week bemoaned the status of access to medicines in the UK. He warns that the country could get left behind when its poor record on access to new drugs is added to the Brexit uncertainties. The pharma industry will hope that the government will see the NHS as ‘infrastructure’ and invest – as it has in three multi-billion projects: Hinckley Point nuclear power station, the HS2 high speed rail link and the third runway at Heathrow. If it doesn’t do this, the NHS could deteriorate dangerously, and an industrial strategy for a home-grown pharma industry will be badly incomplete.